The key to a great niche market is finding one with a passionate audience ready to spend money. And that’s exactly what we’ve got here. It doesn’t have to be a gigantic market to make a nice profit (although it doesn’t hurt). Your ability to be profitable has much more to do with how you engage your audience and present them solutions than it does the total size of the market. A $1.5 million dollar market isn’t enormous, but it’s nothing to sneeze at either. What’s more important is that more and more people are being drawn to this market, with their wallets open. I’m talking about the “Learn Chinese” niche. Some people want to learn Chinese for fun, others to drastically stand out in a professional setting. Whatever the reason, it’s a great niche to monetize with an authority blog and affiliate offers. Big thanks to our friends at NicheHacks for doing all the initial research for us. That way, if you wanted, you could jump right in and create your niche site. These questions / topics are problems that need solving. Solve them in your content and through your product recommendations and you’ll have a happy audience ready to spend money. It’s worth $1.52 million so now is the perfect time to get involved. Between the social media hubs and forums there’s around 55,380 members meaning a huge pool of engaged traffic to tap into. There’s an endless array of content ideas in the niche including popular ones like “Learning Chinese Mandarin within 30 days” and “Learning Chinese Characters” – create similar content but better and it’s almost guaranteed to go viral. 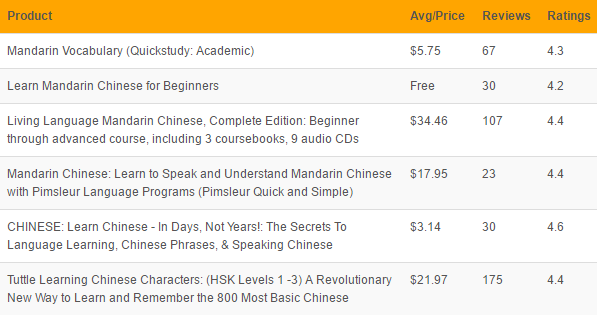 There’s endless problems from How to start Chinese Mandarin to Learning Chinese Mandarin Characters and every problem as a product available which solves it – sell these as an affiliate. There’s plenty of good domain names available including com and learnchinesemandarin.org – pick one and get started. Rosetta Stone®‎‎ ‎ and TutorMing.com‎ or Learn Mandarin in 30 Days – Scientifically Proven Method‎ are advertising in this niche showing it must be profitable, people don’t spend money on ads if they can’t profit from them – get involved. You get your content ideas from seeing what’s popular on other Learn Chinese Mandarin blogs and related blogs and simply write something bigger and better, bolder and stronger. Make the other ones pale in comparison. And don’t forget to build your email list so you can continue to build your relationship with your audience, drive traffic back to your newest content, and promote to your audience. Remember, there is no such thing as a competitive niche. 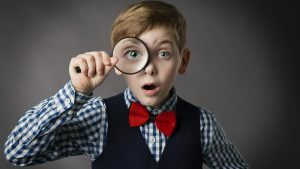 Every niche report shows the potential of an existing market. It’s your job to take your unique angle and zoom into a sub-niche. It doesn’t matter if millions of people read this niche report. You can read more about this niche and other affiliate marketing topics from our friends at NicheHacks.